Christoper Blevins has a new jersey to add to his closet, and it isn’t the polka-dot design for climbing he is used to wearing. 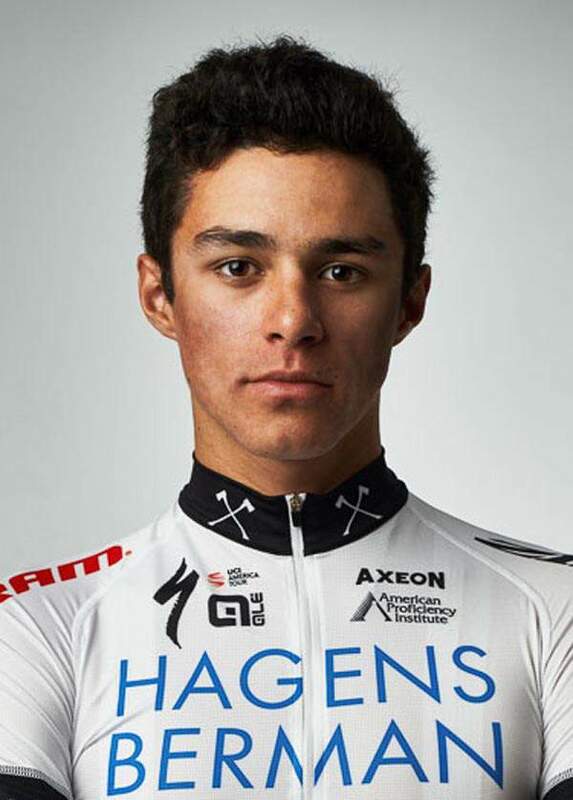 Blevins, a 20-year-old professional cyclist from Durango, finished the five-stage Tour of the Gila road race in Silver City, New Mexico, as the men’s top sprinter, giving him the green jersey in the International Cycling Union (UCI) points race. Blevins scored 28 sprint points and never took the jersey off after he won the second stage road race Thursday to go into the green. Blevins wrapped up the green jersey win Saturday in the downtown criterium in which he placed fifth and helped push Hagens Berman Axeon teammate Michael Rice to a stage win. The white jersey for the top young rider in the pro field went to Blevins’ teammate Sean Bennett, who finished the five stages in a combined 13:54:52. Blevins was 43 seconds back of that time, while Thomas Revard, another Hagens Berman Axeon rider, was third in 3:20. Blevins finished 10th on Sunday’s fifth and final stage, a 100.6-mile road race. Gavin Mannion of the U.S. won the stage in 4 hours, 2 minutes, 41 seconds. Rally Cycling’s Rob Britton of Canada was second, one second back, and Rally Cycling’s Kyle Murphy of the U.S. was third, 30 seconds back of Mannion. Blevins finished 50 seconds back. Blevins finished ninth in the General Classification. Britton was the GC winner in 13:50:42. Mannion was second, 52 seconds back, and Murphy was third, 2:14 back. Blevins’ time was 4:53 back of Britton. Colombia’s Oscar Eduardo Sanchez of Canels Specialized was the King of the Mountain with 45 points, 11 more than Britton. Blevins was 16th in the KOM standings. It was also a strong showing for the new 303 Project team which features Durango talent. Isaiah Newkirk was seventh in the GC, 3:37 back. Cullen Easter, a former Colorado Mesa University athlete who trains with his brother Griffin in Durango, was 18th in the GC, 12:40 back. Griffin Easter, a former Fort Lewis College rider, was 19th, 13:03 back. Durango’s Rolando Gonzalez added a 71st-place finish, 47:03 back. Cormac McGeough, a current top FLC rider who competed for the Jelly Belly team, was 40th in the GC, 32:42 back. McGeough was third on Stage 2 to reach a podium on the day Blevins won the stage, and Cullen Easter was fourth that day. Katie Hall of the U.S. and the UnitedHealthcare Pro Cycling Women’s Team won the women’s race GC. She finished in 12:07:42. Canada’s Sara Poidevin of Rally Cycling was second, 44 seconds back, and Leah Thomas, a teammate of Hall’s, was third 2:11 back. Rally Cycling’s Emma White wore the green jersey ahead of fellow American Chloe Dygert of the Sho-Air TWENTY20 team. Poidevin was the top young rider., while France’s Edwige Pitel was the Queen of the Mountain. Up next for Blevins is the Redlands Bicycle Classic stage race May 2-6 in California. He will then return to the mountain bike for a World Cup event in Europe. Blevins already has two USA Cycling Pro Mountain Bike Cross-Country Tour wins this year, as he swept the Fontana and Bonelli races in California. He leads the Pro XCT standings with 80 points. The under-23 cross-country mountain bike and cyclocross national champion will target road nationals, Tour of Utah and the Colorado Classic as his other road races this year. The mountain bike World Cup stop in Europe at the end of May will keep him out of Durango’s Iron Horse Bicycle Classic.